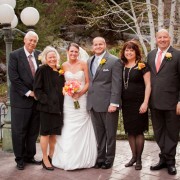 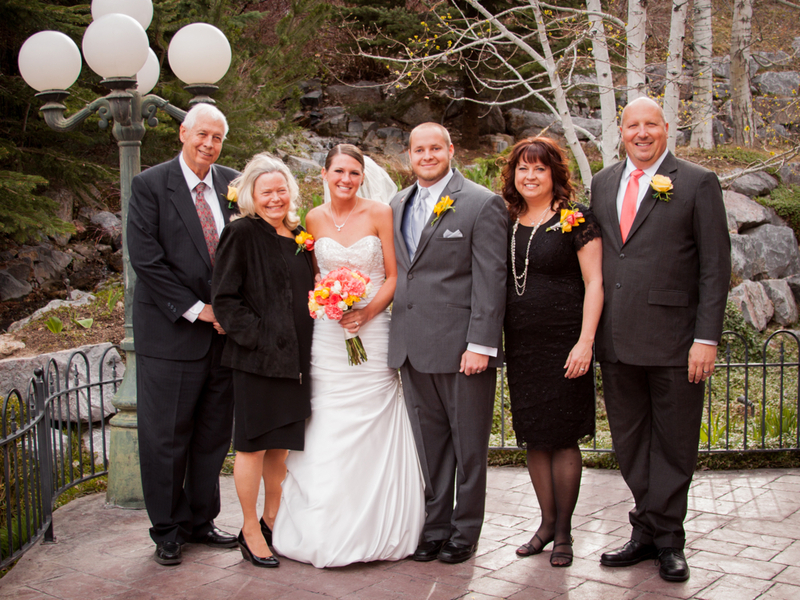 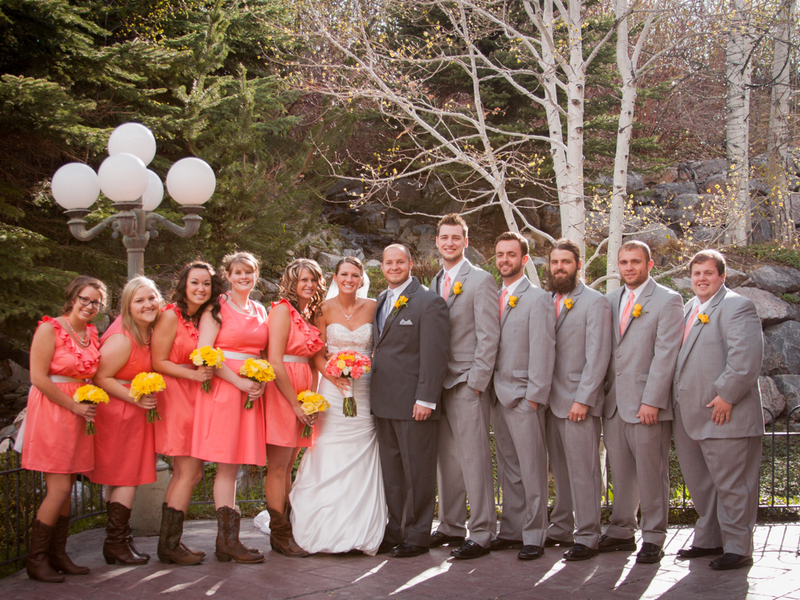 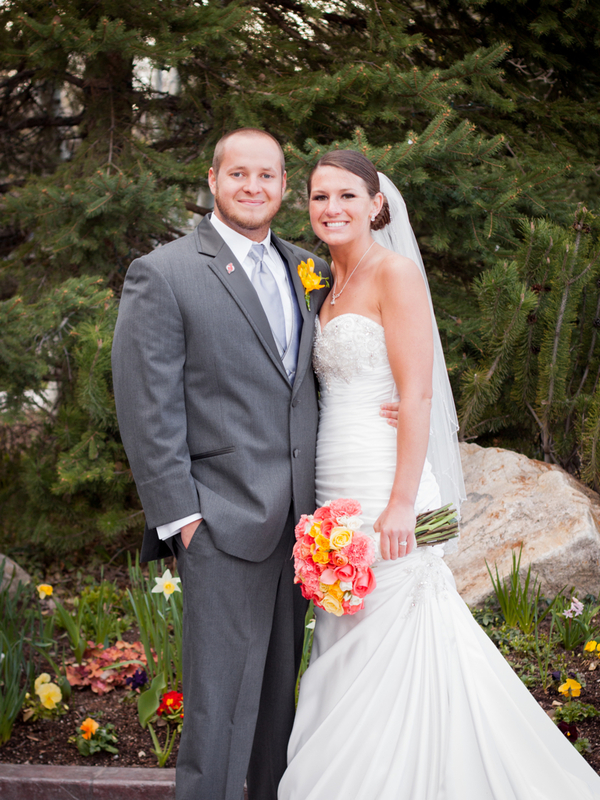 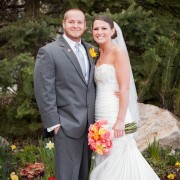 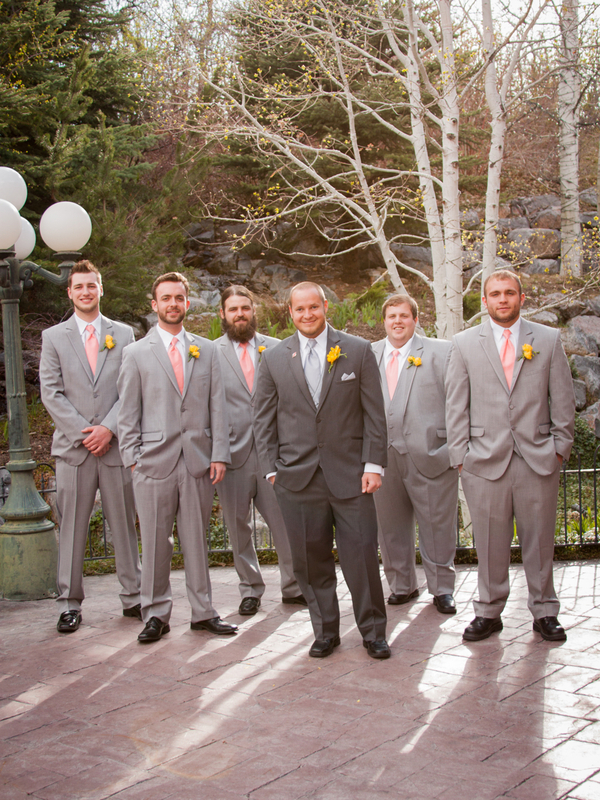 Beautiful Spring Wedding held at Heritage Gardens in Sandy, Utah. 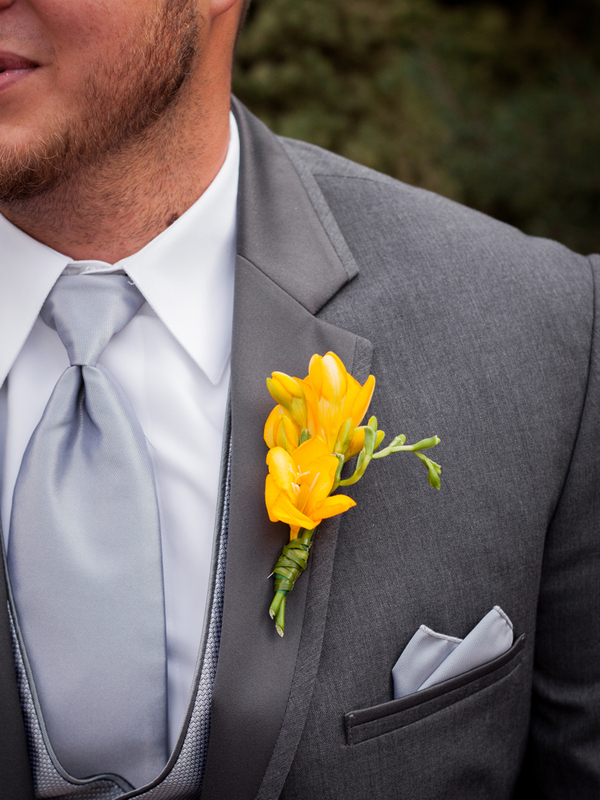 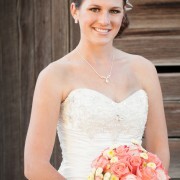 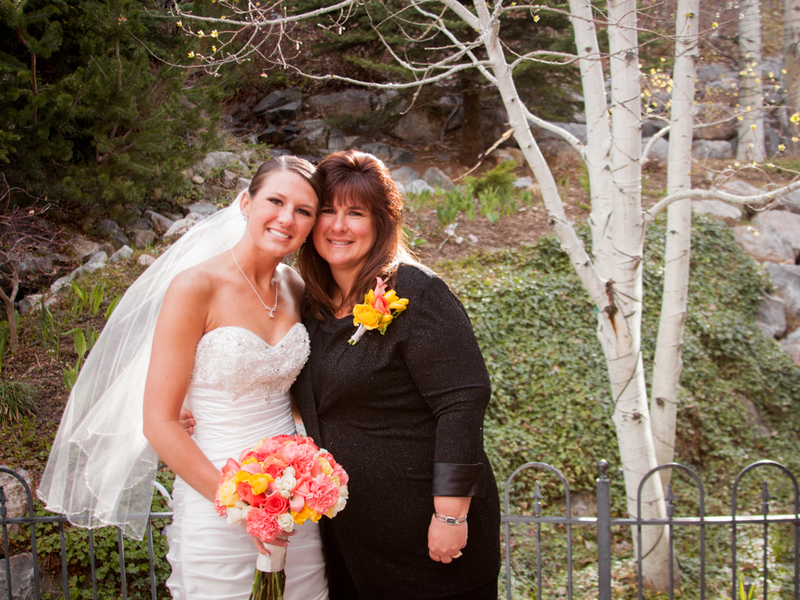 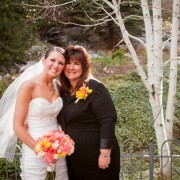 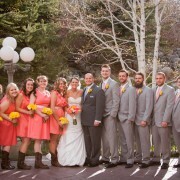 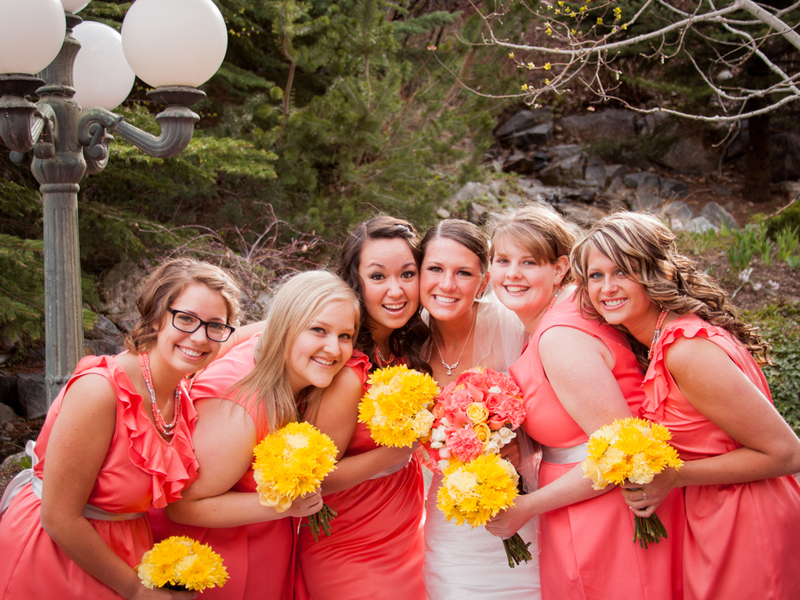 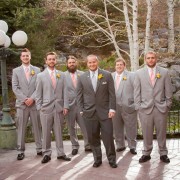 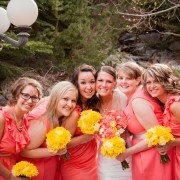 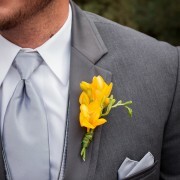 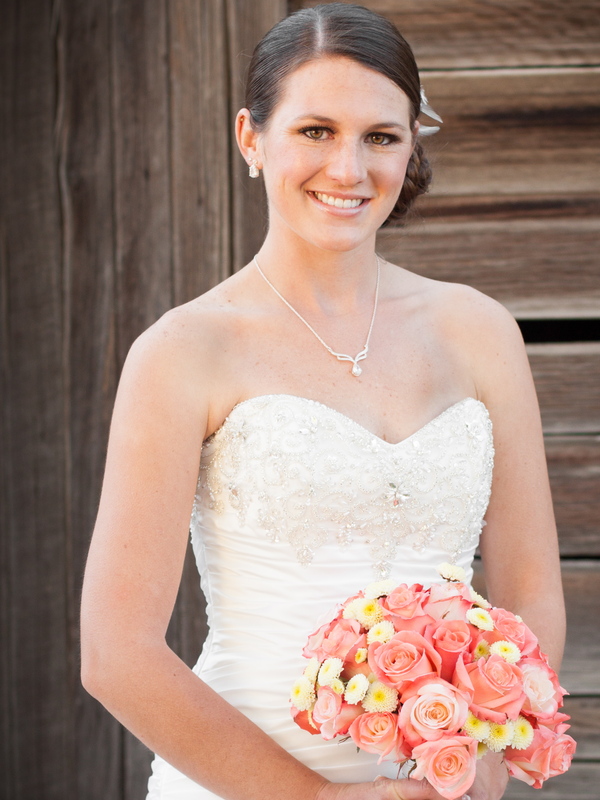 Bride chose coral and canary yellow accented by silver for her florals. 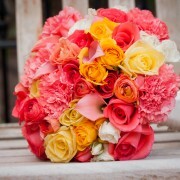 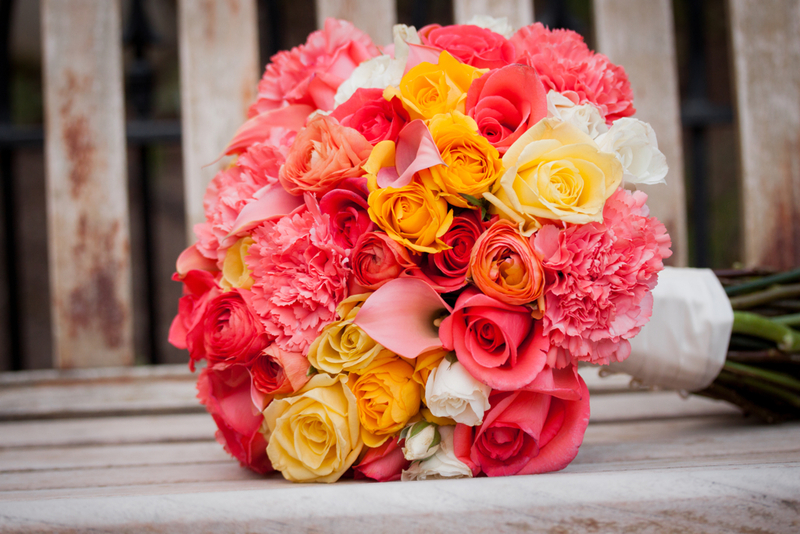 Many of the flowers were custom-colored to achieve the coral color. 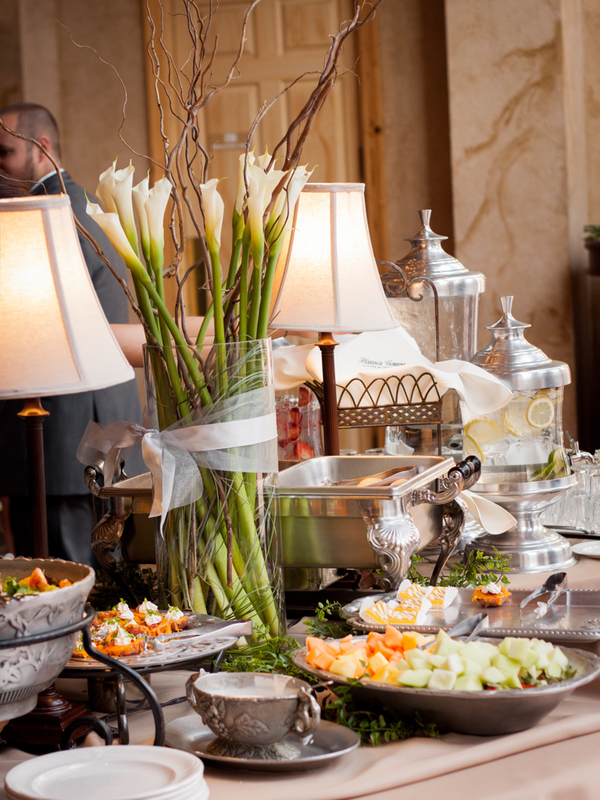 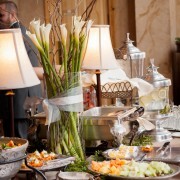 Reception tables were topped with tall calla lily and curly willow arrangements.